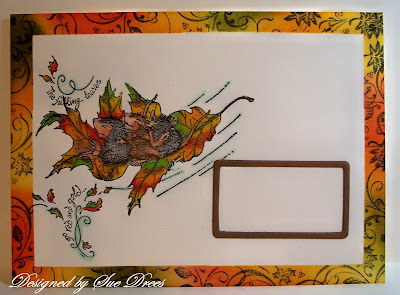 It's Monday, and that means it's time for another challenge at House Mouse and Friends Monday Challenge. 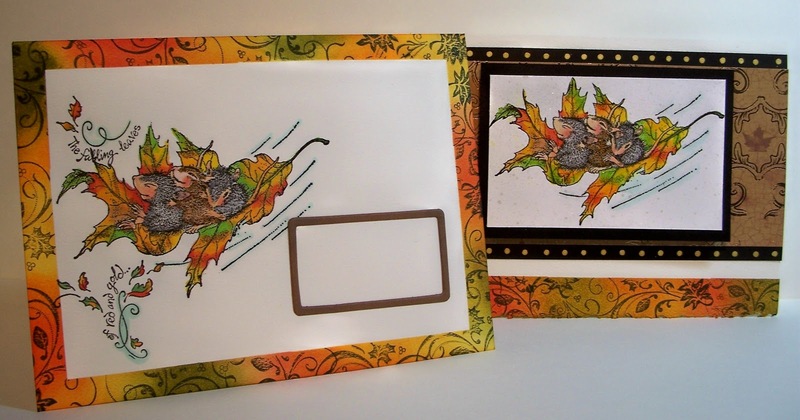 this week our wonderful teammate, Sue Kment has chosen the theme for the challenge, which is Envelope Art. 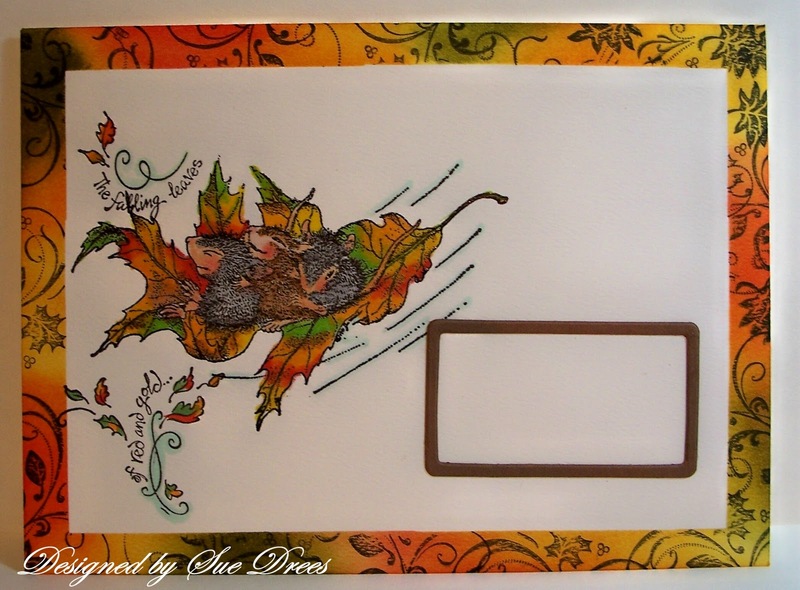 Yep, decorate an envelope with a House Mouse, Gruffie, or Happy Hopper. These little guys are enjoying a ride on a falling autumn leaf. I used sticky notes to create a border around an envelope. 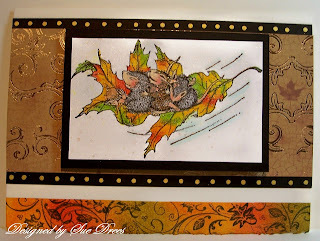 Then, sponged distress inks in fall colors around the edge randomly. Stamped in black with a swirl stamp. Colored this adorable stamp with Copics. Used a die cut for the address space. 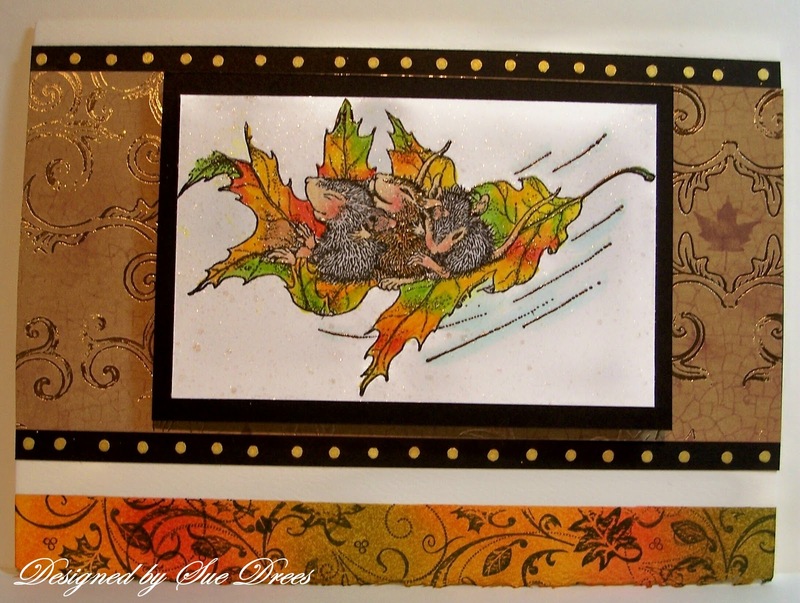 I made a border on the flap of the envie and attached an autumn leaf. Hope you can join us at the House Mouse and Friends Monday Challenge with a decorated envelope. For some great inspiration, take a look at what our talented team has come up with. This challenge runs from today, November 22 through December 5th. We would love to visit your blog and see what you came up with. Gorgeous set! I love how you created the border around the envelope. WOW- what a wonderful card/envelope set to receive in the mail!!! Its so BEAUTIFULLY DONE my friend. Love it! Ohh wowww Sue,What a beautiful card. BEAUTIFUL!!! WOW! 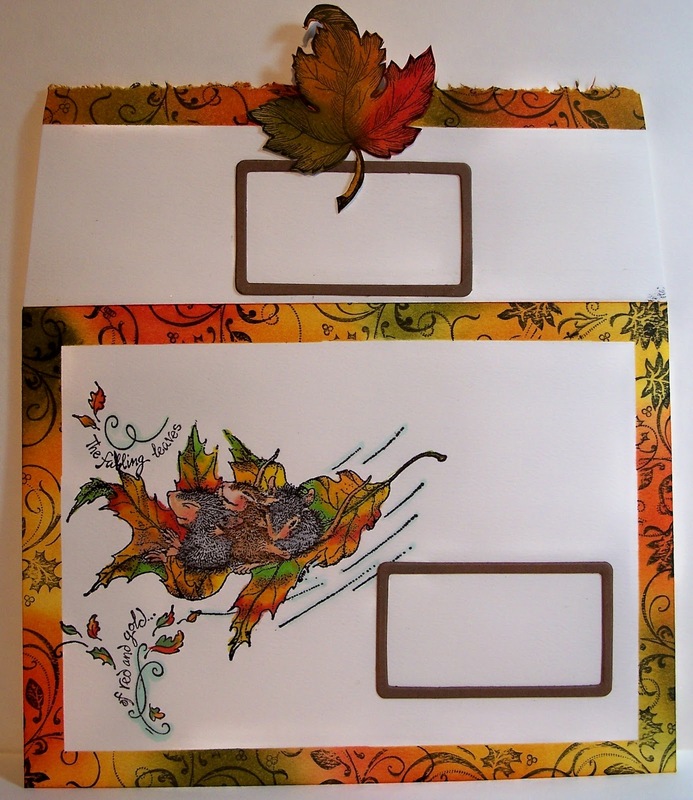 The colors are amazing and POP off the page...er...I mean envelope....er...um...screen? LOL! Well YOU KNOW what I mean. GREAT job!!! First thanks for an absolutely fun challenge!!! Your env. & card are absolutely stunning, love your background stamping - it's famtastic, and you've used the first ever HM I ever coloured - great sentimental value for me. 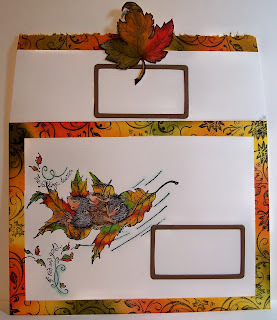 Beautiful envelope project! Love the little mousies taking a ride on the leaf, very cute! so beautiful Sue! I love popping in here and getting inspired! Gorgeous! Love the warm colors. Love your creation. Your envelope is so great and I love this sponged border with swirls. You made a perfect card too, so much more work than needed. Great set!